I don’t usually do movie or TV show reviews but I thought I would do this one since it is Castlevania and who doesn’t love Castlevania? 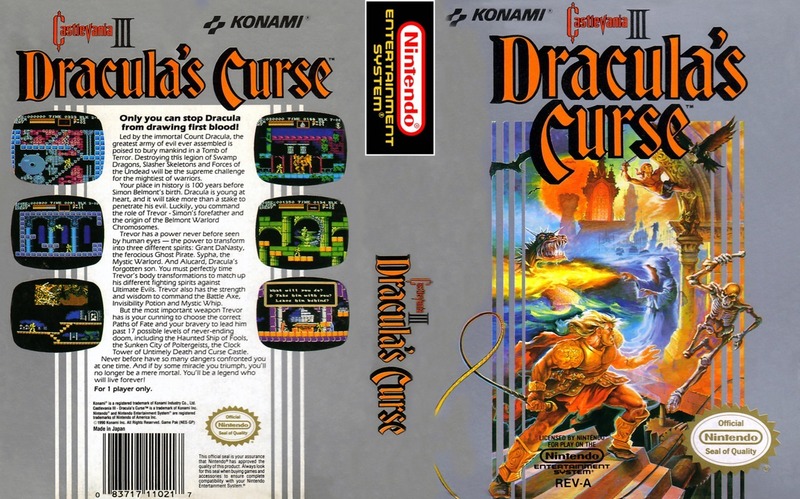 The Castlevania Netflix TV series, produced by Adi Shankar with co-producers Fred Seibert and Kevin Kolde of Frederator Studios, was adapted by the 1989 Castlevania III: Dracula’s Curse by Konami. In that game, the vampire hunter, Trevor Belmont is on a quest to defeat Dracula, which is the same in the TV series. There is one season with 4 episodes which is perfect in my opinion because it was straight to the point with no fillers. The episodes were about 25 minutes with no ads so it’s a standard anime episode. The cool thing about this show is that it features the voices of Richard Armitage (“The Hobbit”) and James Callis (“Battlestar Galactica”). The show was gory and bloody. The animations were very fluid and stunning so it was perfect with the combat scenes. I loved the humor as well, it was perfect. I love this so much, it kept my attention and the story is just right up my alley. It even had music from the video game and it made me cry a bit. If you haven’t seen Castlevania on Netflix, I definitely recommend it, even if you haven’t played the video games. It’s just incredibly good. I love it so much. You can watch it on Netflix here.